Nepenthes mirabilis var. globosa, previously called Nepenthes 'Viking', has pitchers that are very rounded and covered with darker veins. 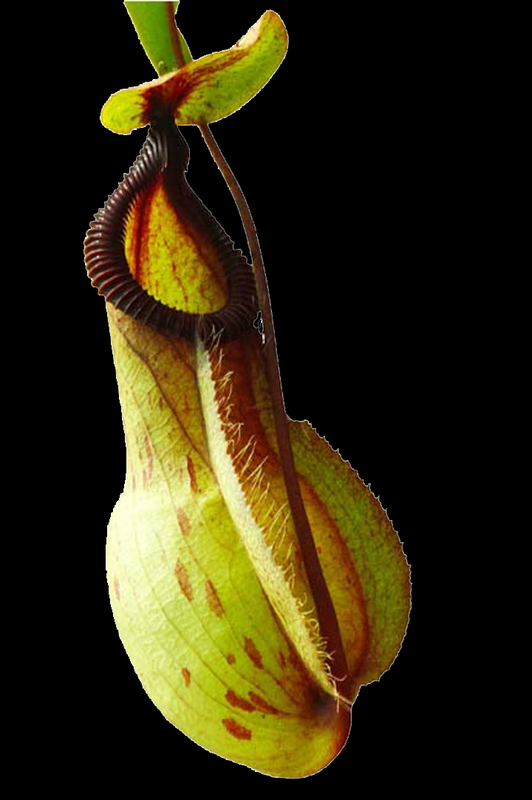 Couple this with the WICKEDLY TOOTHED PERISTOMES of Nepenthes hamata, and you get a wonderful combination! Medium plants 3 to 6 or more inches in diameter, shipped potted and ready to grow in 4-inch pots.